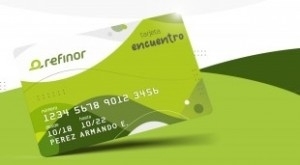 Argentina: Refinor launches loyalty program "Tarjeta Encuentro"
Customers who purchase liquid fuels can accumulate 5% of the amount paid at its sites, which can be exchanged for fuel or cash. Refinor's loyalty program is aimed at rewarding customers who refuel at any of its service stations. The launching of the "Tarjeta Encuentro" takes place simultaneously with the unveiling of its new line of Max fuels, designed for a better, more efficient performance. The loyalty program also includes a new mobile app. "We are looking into developing a program that is self-manageable and close to the customer. In this sense, we are working on the creation of an app that allows you to permanently monitor your consumption, check the available cash in real time and be informed of the exclusive promotions that Refinor offers for Tarjeta Encuentro", explained Claudio García, Commercial Manager of Refinor, to surtidores.com.ar. Any customer can apply for their card at a Refinor service station.